July 27th 2011 marked exactly two years to the day since my administration first introduced the National Key Result Areas. As you all know, these six NKRAs were identified as the core to the Government Transformation Programme, to improve the government delivery system, and to address the urgent short-term and long-term needs of the Rakyat. These NKRAs are: reducing crime, fighting corruption, improving student outcomes, raising living-standards of low-income households, improving basic rural infrastructure, and improving urban public transportation. On this date this year, I announced a seventh NKRA: to tackle the rising cost of living. This decision was made in the cabinet meeting earlier that morning, in view of the global and domestic rise in prices of food and various essential materials. In two years since the NKRAs were announced, the cost of living in Malaysia has risen to affect a majority of the population, in varying degrees. Many are feeling the pinch, but are not quite aware that this phenomenon is occurring worldwide, and hitting many other countries fairly hard. The fact is that so many global factors have affected our cost of living. In 2007-2008, a dramatic worldwide increase in food and fuel prices had occurred, but was quelled shortly after when fuel prices lowered. However, prices climbed again in mid-2010.In recent years, major commodities producers have been facing unpredictable weather conditions, one reason due to climate change. Droughts and floods have resulted in bad crops and shortage of essential produce such as wheat and sugar. Countries like Russia, Canada, and Australia, major exporters of wheat, had less to export, which drives up the global price of the commodity. When these exporting countries announce their lower production levels, and consequently lower exports, it also causes panic buying in the market, forcing the prices up further. These are some of the factors that have caused prices of goods to rise, affecting poor and developing countries the most. However, we must face facts: the world prices will not return to the levels of five years ago. We are not the only ones faced with this problem, and we are certainly not the worst affected. Nonetheless, it is the Government’s duty to do what it can to manage these rising costs and seek ways to slow its effect on the Rakyat. The Government continues to provide subsidies in your daily travels, meals and health bills, among others. In this respect, this is where the seventh and newest NKRA comes in. We will look into ways to improve the agriculture supply chain to ensure minimal food loss during the production and supply process. We will continue with the price control system and manage our subsidies, which are already among the highest in the world. We will expand Rakyat-focused initiatives such as the 1Malaysia Clinic, Kedai Rakyat 1Malaysia and most recently, the 1Malaysia Rakyat Menu. The latter is a programme to encourage food vendors to offer a package menu with a maximum price of RM2 for breakfast and RM4 for lunch at participating restaurants. 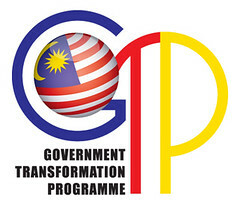 The upcoming 2012 National Budget will definitely focus on the management of Rakyat’s living cost. We will devise the best strategies possible to ease Rakyat’s burden while at the same time manage the country’s economic development. We will work hard to ensure the Rakyat’s concerns in living costs are managed amid these trying global challenges.